It’s winter and, if you are like many homeowners, you might be looking for ways to supplement your main heating source. Perhaps you want to warm parts of the house that are always chilly or save money by heating the rooms you spend the most time in while keeping the rest of the house cooler. Maybe you are looking for an emergency heating option should you experience a winter power outage. Whatever your heating needs, there are a number of options on the market. Here’s your guide to finding the right one for you. Space heaters come in a wide range of heating capacities. They are designed to warm a single room or small space by focusing heat in areas you need it instead of running your central heating system at full blast. Space heaters are usually powered via electrical outlet but some run on propane, natural gas, kerosene, or wood pellets. Energy efficient: Instead of heating the whole house, space heaters allow you to direct heat to areas you frequent, limiting your home’s environmental impact. Lower energy bills: it is cheaper to use a space heater than to rely solely on your central heating system. If used improperly, space heaters can be a big hazard. More than 25,000 house fires and over 6,000 emergency room visits each year are blamed on space heaters. Children and pets are often drawn to space heaters, risking injury. Space heaters should not be used unsupervised or at night while you are sleeping. These heaters warm the small areas in their “line of sight”. Instead of heating the air, radiant heaters give off radiating heat waves that warm clothes, skin, and objects. Radiant heaters work best if you are trying warm a specific spot in your house, like a play corner or your favorite reading nook. Radiant heaters are especially effective in drafty areas and rooms with high ceilings. Also known as forced air heaters, they use a fan to circulate warm air, thus they work best in enclosed areas that are properly insulated. Because they warm up the air itself, convection heaters take longer to raise the temperature in the room. Less energy efficient than radiant heaters. These heaters are filled with a material (usually oil) that is heated with electricity. It takes a while for the filler to warm up, once it is heated, it generates uninterrupted heat to the whole room. Fireplaces are cozy and cheery on cold, winter days but they aren’t portable, so fireplaces can only heat the area of the house in which they are located. However, you can use some fireplaces effectively for “zone heating”. These are the least efficient types of fireplaces for generating heat. Nearly 80% of the heated air is lost up the chimney of a traditional fireplace. If your goal is to generate supplemental or emergency heat, a wood fireplace is not an efficient option, despite its cheery crackle. 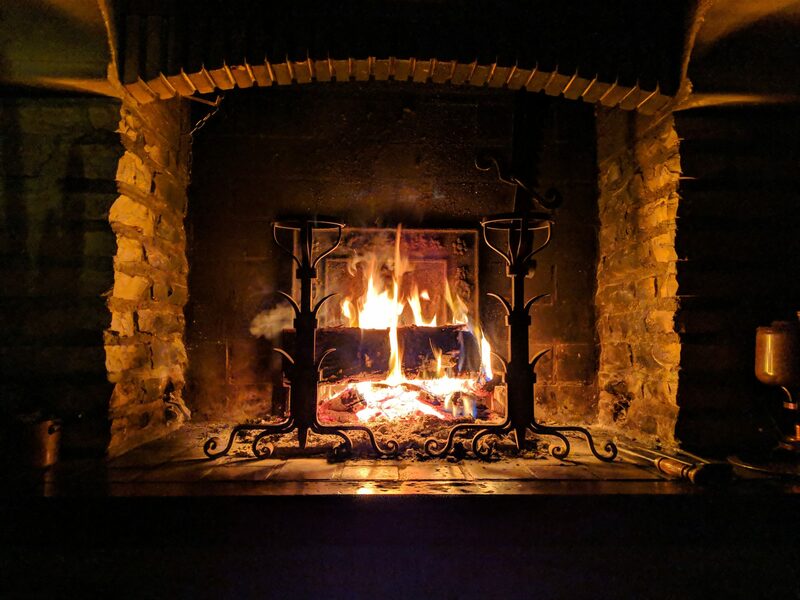 In addition to inefficient heat, wood burning fireplaces require more maintenance than all other fireplace options, pose greater fire risk, and demand a supply of chopped, dry wood. Gas log fireplaces are far more efficient than wood fireplaces. About 70% of the generated heat stays in your home. They can be remote controlled and provide all the benefits of a wood burning fireplace without the mess, maintenance hassle, and fire hazards. These fireplaces work very similarly to a traditional wood fireplace, but they burn gas or propane and they look almost exactly like a traditional wood fireplace! Most traditional fireplaces can be converted to vented gas. These fireplaces burn gas or propane and use the air in your home to generate heat. They are the most efficient type of fireplace because all the heat remains inside and there is no connection to the outside. It’s important to consider all your options when thinking about supplemental heat. None of these options seem energy efficient enough for you? Check out our post on Nest Thermostats and see if a zoning option could be right for you. We provide quality installation, service, and replacement of heating and air conditioning comfort systems in single system homes, multiple system homes, multi-family dwellings, and commercial properties. © 2019 Steve’s Heating & Cooling. All rights reserved.